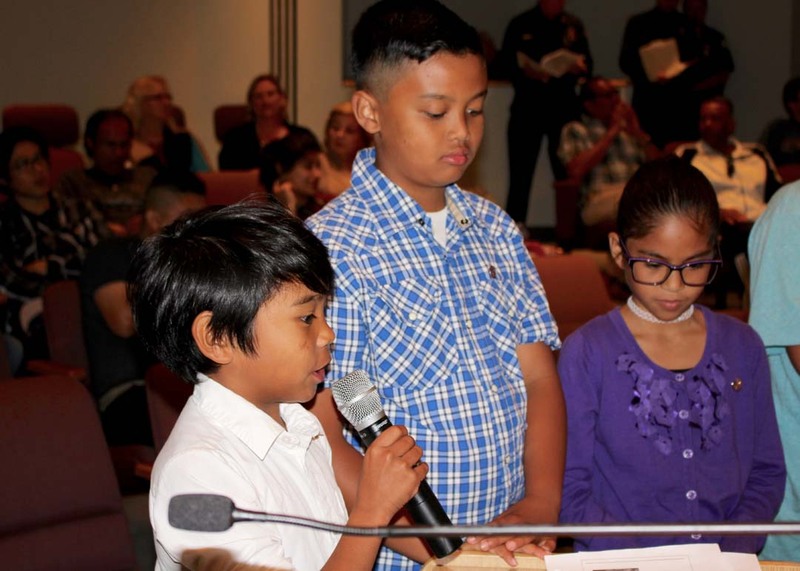 OCEANSIDE — Del Rio Elementary fifth-grade students took to the City Council podium on March 15 to ask the community to keep our oceans clean. Students described how trash gets into our oceans by blowing into rivers and floating downstream. They urged listeners to help out and pick up litter. “How hard is it to pick something up?” student Elizabeth Guardado asked. Additional solutions students shared to end ocean debris were stronger enforcement of litter laws, adding more trash cans to city beaches and posting reminder signs and billboards. Fifth-graders also showed a class-created PowerPoint presentation and two student-made PSAs with clean ocean messages to the council meeting audience. Following the presentation students received a standing ovation, and praise from City Council members. The public outreach presentation is the culmination of a six-week science/English study on marine debris and writing argument essays on best solutions. During their study students created the shown PSAs. They also made artwork from colorful items found washed up on the beach and experimented with stop motion animation. Janis Jones, Del Rio Elementary resource teacher, said Wednesday night’s public outreach filled students with pride in their learning. 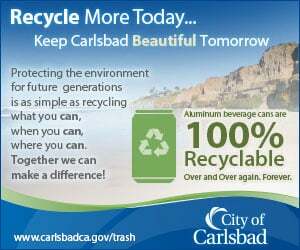 There are plans to post student clean ocean PSAs on the Waste Management website. The fifth-grade class also received two requests to show the PSAs during the council meeting. “The Chamber of Commerce and the IRONMAN (70.3 Oceanside) director approached us Wednesday night, and they are also interested in showing them,” Jones said. Students will next study outer space debris and possible solutions.